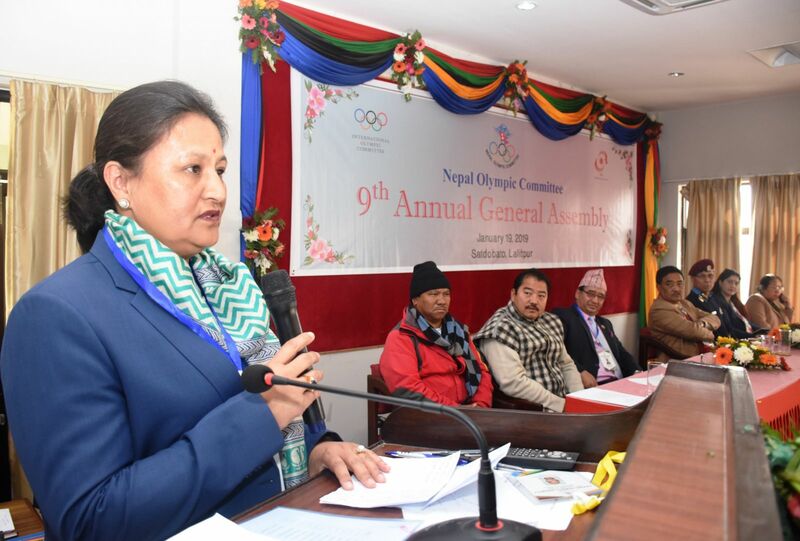 Nepal Olympic Committee held its 9th General Assembly in the Olympic Building. President of NOC/Member of Parliament Honorable Jeevan Ram Shrestha was the Chief Guest of the program where Vice president Mrs. Jyoti Rana chaired the AGM. Honorary President Mr. Dhruba Bahadur Pradhan, Member of Parliaments Honorable Suresh Rai, Honorable Tulsha Thapa, Honorable Gajendra Bahadur Mahat, AIG Mr. Dhiru Basnet and member of NSC Mrs. Indira Niraula as Special Guest. 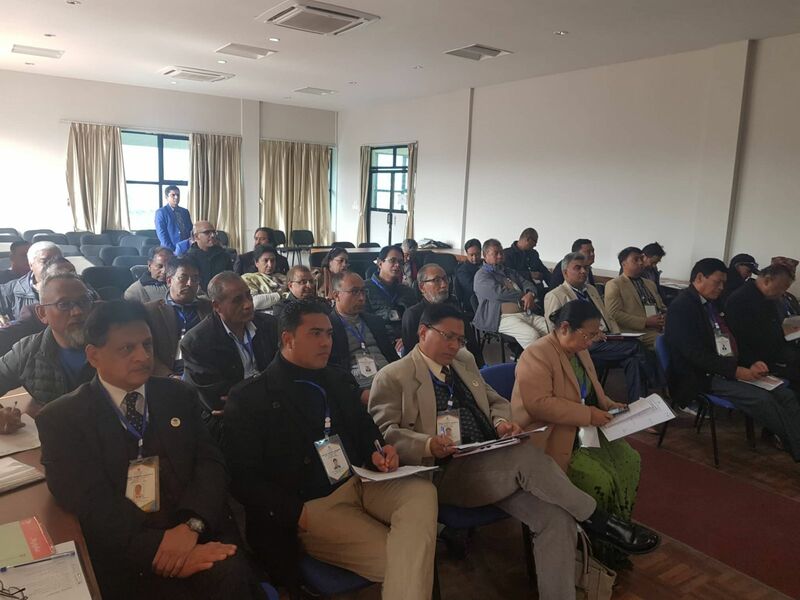 The General Assembly was divided into two sessions where Mr. Tej Bahadur Gurung was the Master of Ceremony for the opening session.Vice President of NOC Mr. Purendra Bikram Lakhe gave the welcome speech. President of Nepal’s national sport (Volleyball) Mr. Manoranjan Sharma representing all the Association shared his few words. 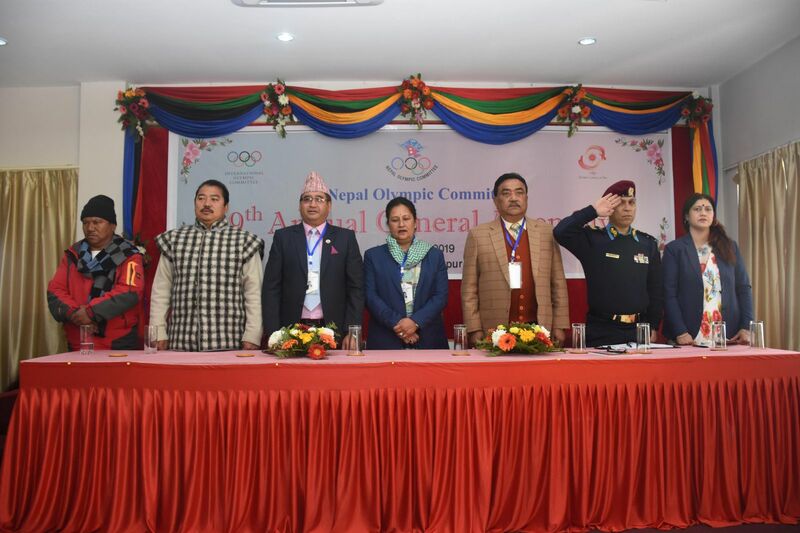 Representing National Sports Council, member of NSC Mrs. Indira Niraula, Honorable Suresh Rai gave their best wishes and expressed full support to Nepal Olympic Committee. 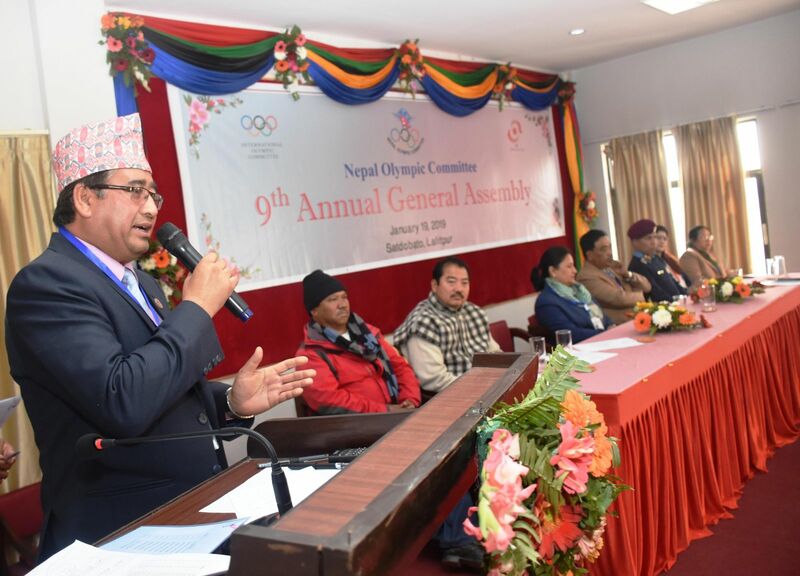 Honarary President Mr. Dhurba Bahadur Pradhan explained about the Olympic movement and shared some history of NOC. Medalists of 12th South Asian Games were rewarded by the Honorable President and Honorary President with token of Appreciation letter. Nepal Paragliding Association who is the Silver medalist of the 18th Asian Games was also presented with token of Appreciation letter and the winner athletes also received with 20 thousand cash each. Nepal Sports Journalist forum and Press Journalist club were also rewarded with 50 thousand each for the contribution towards sports. In the second session of the General Assembly only GA members and one representative of respective Associations were present. Ms. Jyoti Rana from Women and Sports Commission, Mr. Ramesh Shrestha from Sports for all Commission, Dr. Saroj Shrestha from Medical Commission and Mr. Dhruba Bahadur Pradhan from National Olympic Academy of Nepal presented their achievements and activities from the year 2015 to 2018.Deputy Secretary General Mr. Rajiv Shrestha gave a presentation on the activities of Nepal Olympic Committee from 2015 to 2018. Treasurer Mr. Ratan Tondon presented the provisional budget of 2019 of Rs.42, 416,459.40 and also presented the audit report of 2016 and 2017 which the GA passed. GA also appointed Dev Associates to Audit the Accounts of fiscal year 2018 and 2019.